Today Ferruh took us to the Rahmi M. Koc Museum. 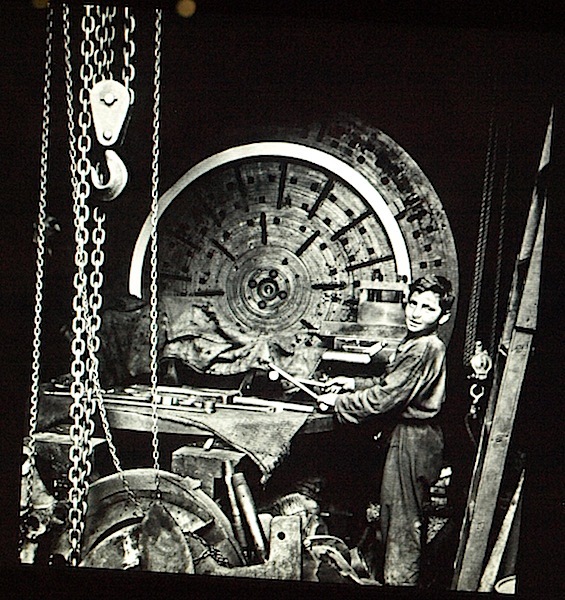 The museum is devoted to the history of transportation, industry and communication and from my understanding it is privately owned by a wealthy Turkish industrialist and run under the auspices of a foundation. The Turkish people and visitors like us are lucky to have access to such a wonderful collection. The visit was our second but since we were here last many more exhibits have been brought on line so I’m glad we made the second visit today. I will not attempt to write about the museum and the exhibits, I will let the photographs do the talking. 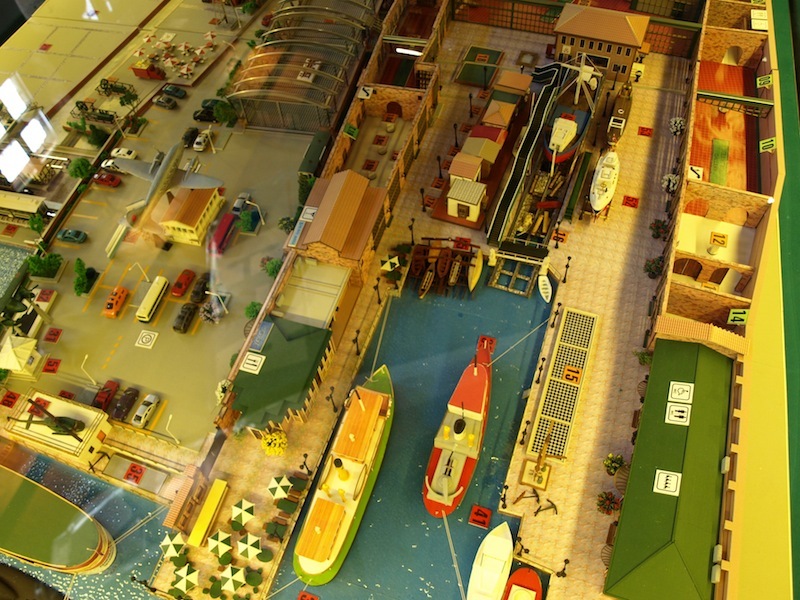 The first image is a photograph of a model of the museum. The Anchor House (in the middle of photo) was built during the reign of Sultan Ahmet the Third (1703-1730) and on top of a Byzantium building from the 12th century. The evolutionary process of building on top of previous eras is what I love about these ancient countries. Sometimes it is possible to see a divisional line between eras. The only Australian comparison I can think of is newer geological eras over the top of older ones. 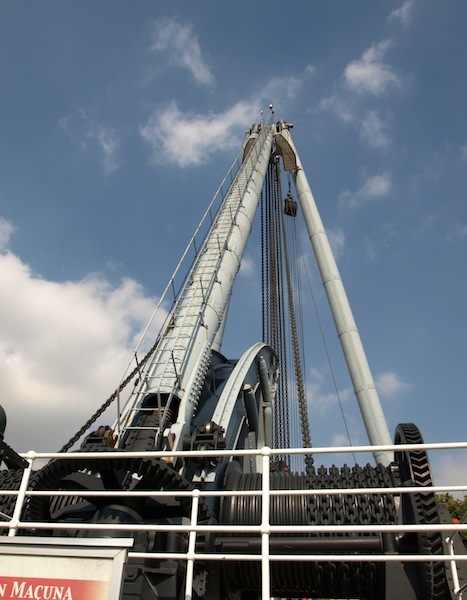 The 82 tonne lift gantry at the entrance of the museum. 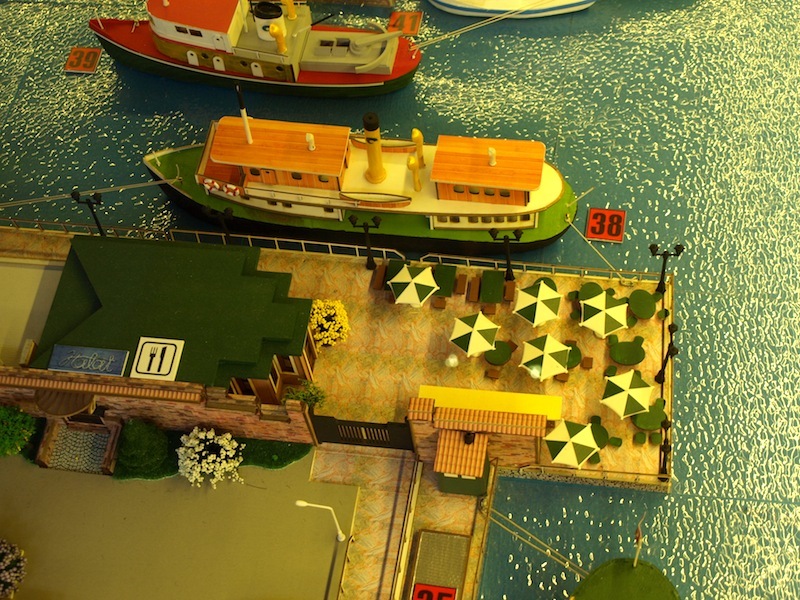 It was originally mounted on a barge which worked around the Bosphorus. The working end of the 82 tonne gantry. Included for our friend Raymond because he loves heavy lifting gear. If readers of this blog have been following the comments section they may have read Raymond‘s comment, ‘it would have been good to be able to blog when we were poking around Carr’s junkyard’. 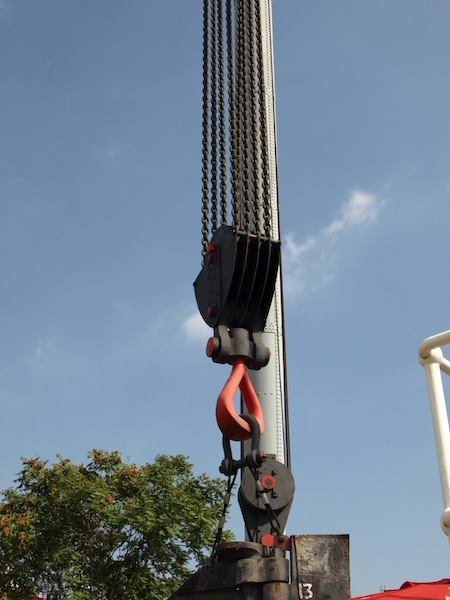 Raymond was referring to a period (late1970 to early1980s) when we used to go looking for second hand rigging gear such as pulley blocks, wire rope and rigging gear for re-sale. One place we found was Carr’s junkyard in Botany, an industrial suburb of Sydney. The junkyard was a paradise for scroungers / bowerbirds like us. Buoy from Carr’s junkyard. Our fireplace at home. At Carr’s junkyard when scrounging for rigging gear we found a 350-high stack of these buoys being cut up for scrap and being sent to Taiwan. Raymond and I thought this was sacrilege so a deal was struck and they were trucked back to Tamworth where they were sold to farmers as fuel tanks. 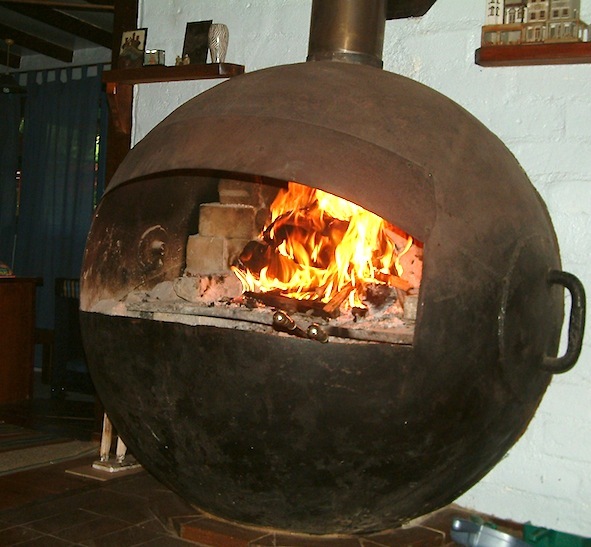 The buoys we rescued were used during WW2 to suspend a steel wire net across the mouth of Sydney Harbour to stop Japanese submarines from entering the harbour, so our fireplace is of special historic interest. You might be asking yourself why am I telling you about buoys. It’s because at the museum today I spotted a similar buoy which had a submarine nudging it. 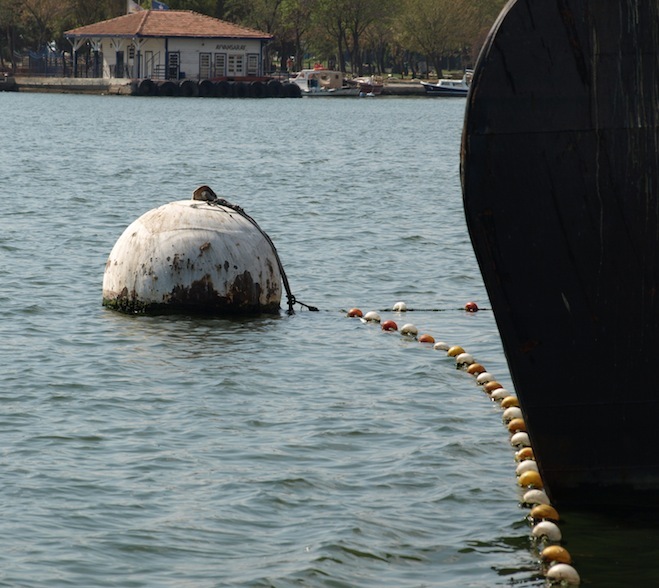 The buoy in the Golden Horn. If you follow the Bosphorus south it runs into the Dardanelles, which flows into the Aegean Sea near the towns of Eceabat (west shore) and Cannakale (east shore). 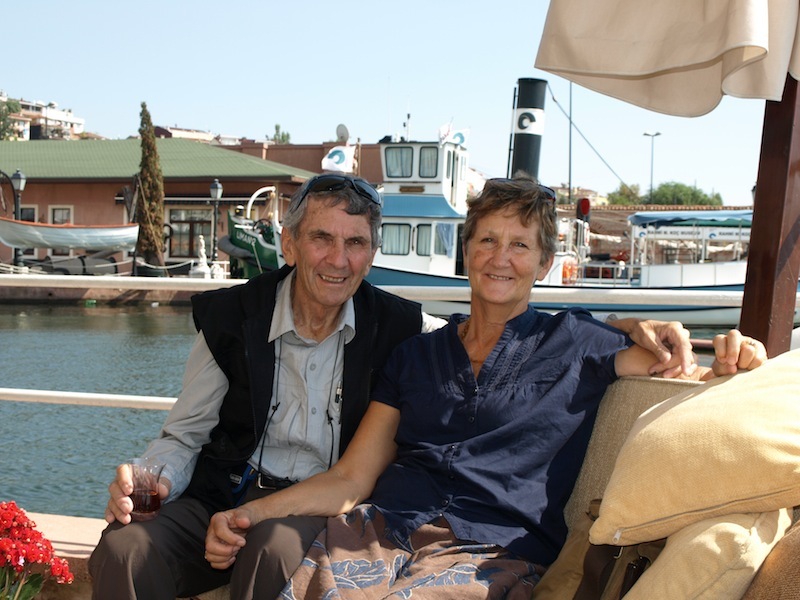 The narrowest point is near these two towns and when Bev and I were there last I saw a heap of buoys similar to our fireplace connected to a steel wire mesh net ready to be slung out across the strait to stop shipping travelling from the Aegean to the Black Sea. This begs us to ask who owns the strait? The answer is it’s the sovereign land of Turkey but some very serious agreements keep it open to shipping. My grandfather was killed in the battle to seize control of this strait during WW 1. 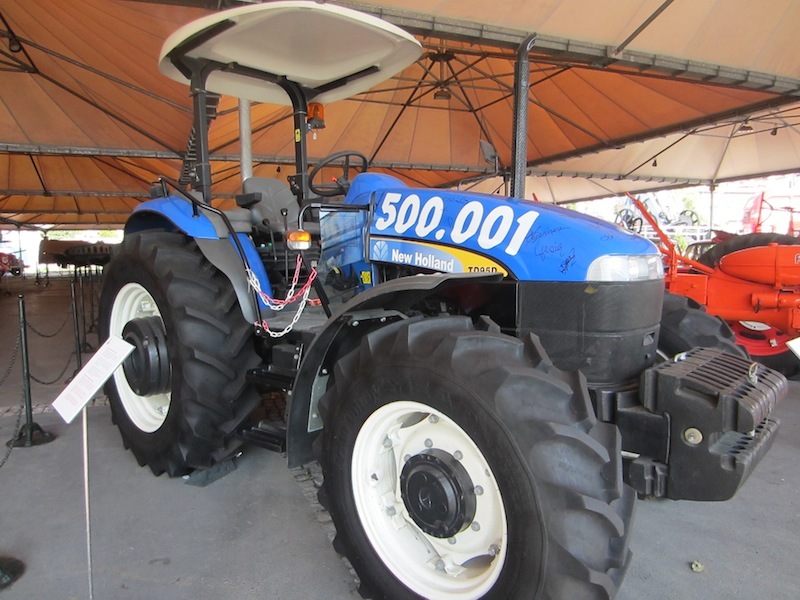 Tractor number 500,001 off the museum owner’s production line. The model boatsin the museum hold a special place for me because when I was a young lad I made wooden boats and sold them to kids at school. I have a photograph circa 1949 of me sitting on the lawn of our Sydney home surrounded by boats. I am waiting on the image to be scanned and emailed to me, I hope it arrives before this page is posted. 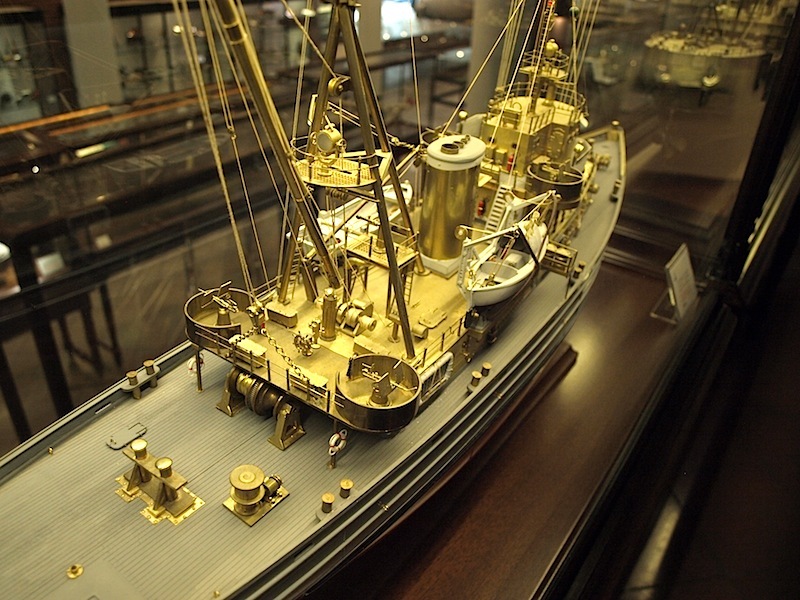 You have to look closely at the detail of the model ships posted here. 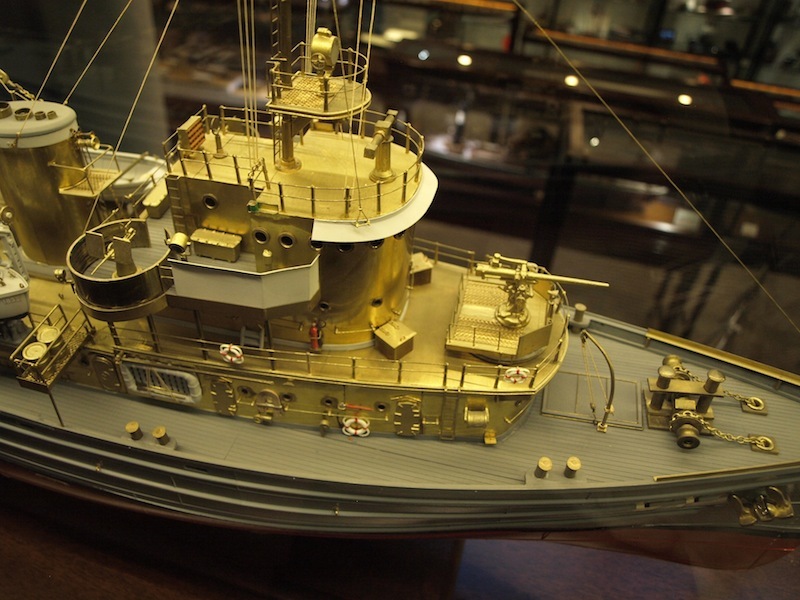 Having been a toolmaker I can appreciate the work involved in making the deck fittings and guns on this model. Each individual fitting has been cast, machined and polished, an incredible effort. 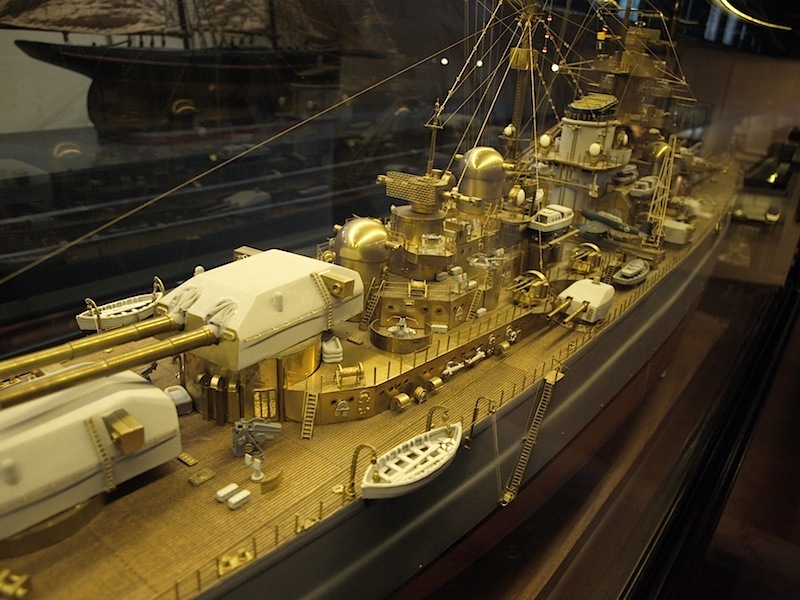 The length of the forward gun was about 50mm. The photographs of the models were taken using available light (it was rather dull) and through glass, therefore the images are not as sharp as I would have liked. If I was ever stuck for something to do in my old age I think I would go back to model boat making. 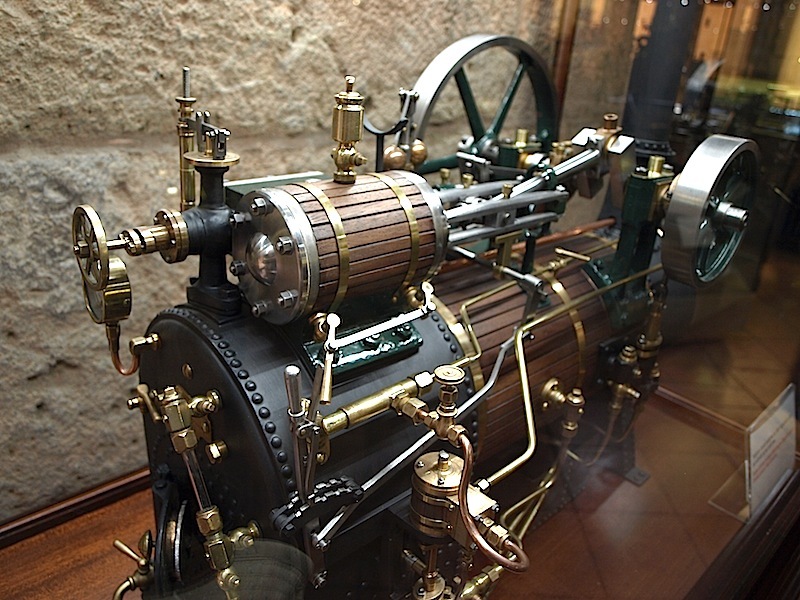 A beaut steam engine and I’m assured it works. This model stood about 300mm high. After the tour of the museum it was necessary to take tea and I can give you a bird’s eye view of exactly where we sat. We sat directly below the 38 under the umbrella on the corner. 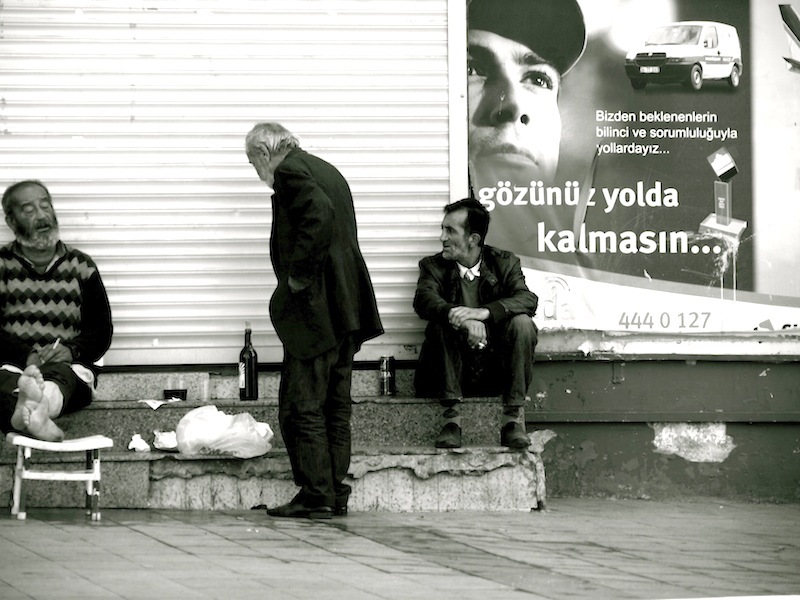 One final thing I must write about before leaving the museum is about the talented Turkish photographer, Ara Guler. I mention him because in the museum there were some of his images that I must share with you. I have in this case broken my personal blogging rules by not getting permission to use the images. However I did try to find his email on the web but to no avail. 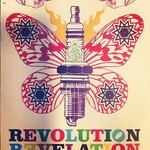 Ara, if you spot these images please contact me through the comments section. If you do not want the images in my blog I will take them down. I assume this little bloke is removing swarf during a machining operation. 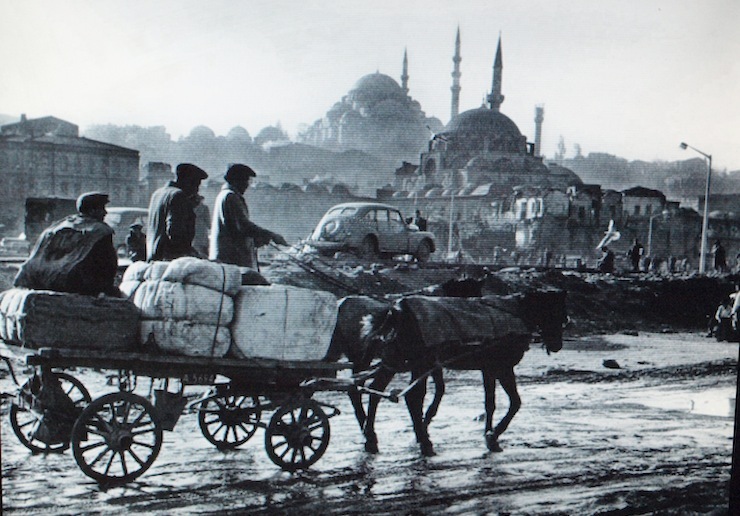 Istanbul in bygone days. On this trip we have only seen one horse drawn cart in Istanbul. In previous years there were many. 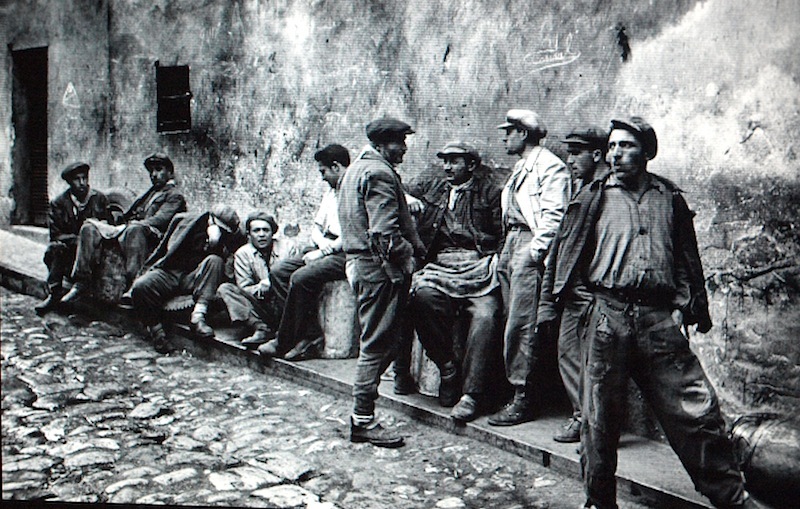 You do not see men on the streets like this today. However you do see a few like this. This photograph was taken through a speeding taxi window. I panned the camera to try and get a sharp image. Bev converted the image to B & W.
From the museum we made our way to a famous Istanbul landmark, the Galata Tower. The tower is located in a very old part of the city and was built by the Genoese back in 1348 and used as a shipping observation tower. In 2006 we went to the top of the tower and today we thought we could do it again but to our disappointment the queue was longer than we could tolerate. 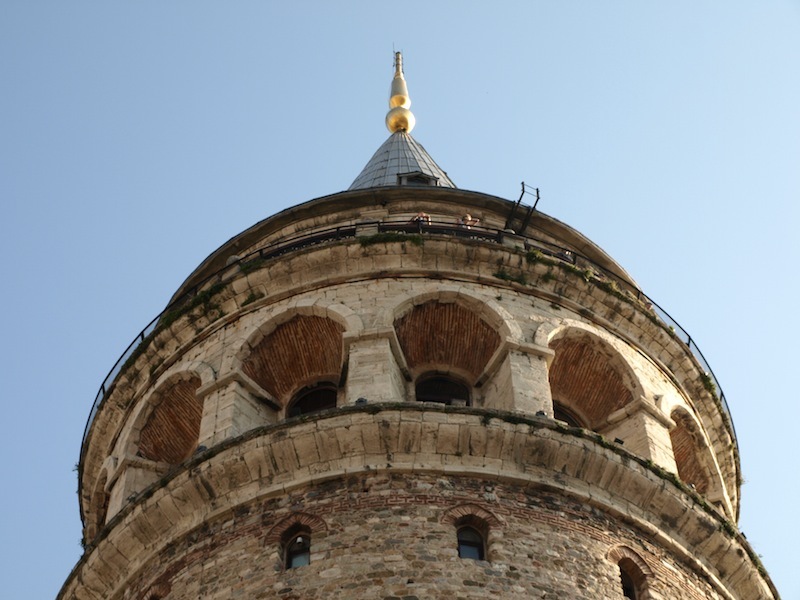 The Galata Tower dominates Istanbul’s landscape on the eastern side of the Golden Horn. A beautiful example of a circular tower. 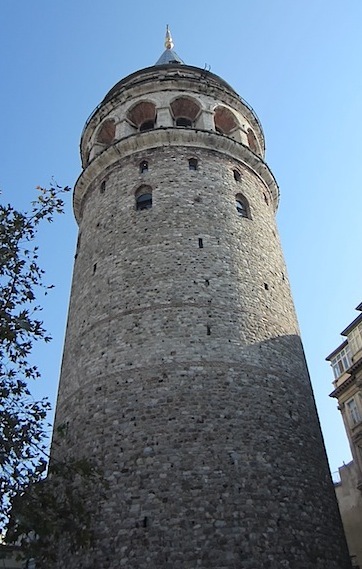 Turret and parapet of the Galata Tower. 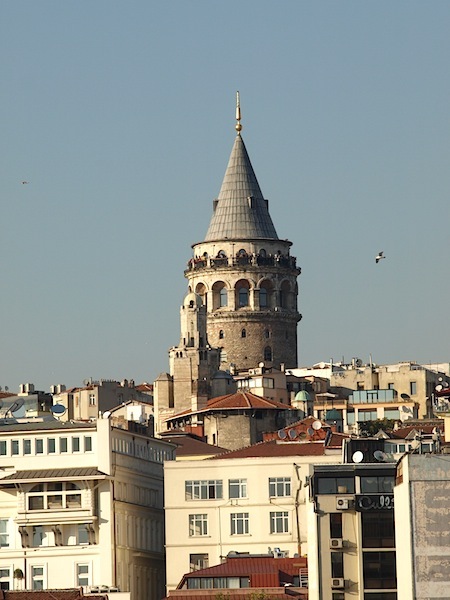 From the Galata Tower we walked the 3 klm long Istklal Street, a landmark shopping mall in the Pera district. It is said to be visited by nearly 3 million people over a single weekend. This I could believe as we were there on a weekday and it was shoulder to shoulder for its entire length. Fortunately Ferruh knew where he was going and he lead us to the Music House of Istanbul. With the aid of a number of sponsors the Music House promotes and encourages Turkish musicians to express themselves as they see fit. The current exhibition we visited todaybelonged to two of the loved artists of the Music House, Arkın (Mercan Dede) and Carlito Dalceggio. 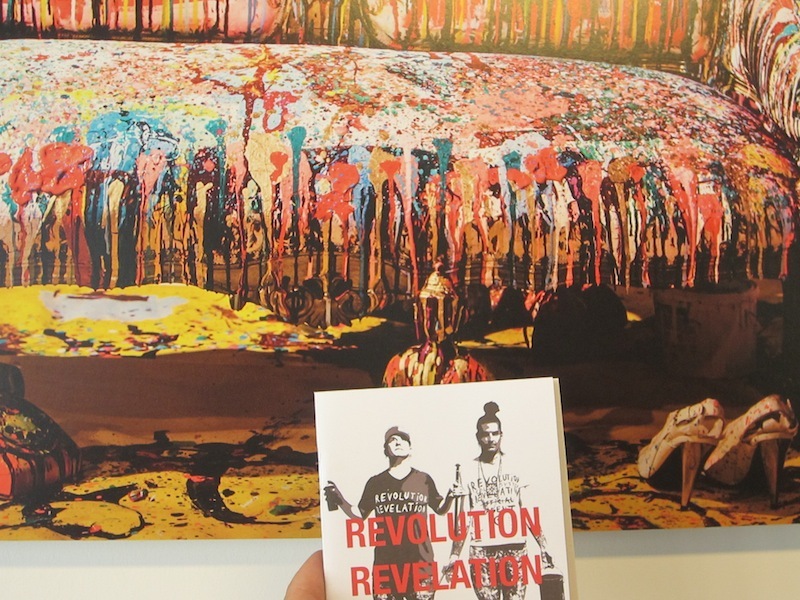 Their colourful and noisy exhibition was entitled “Revolution Revelation” and it was every bit of what the title suggested. The two figures depicted in the photograph are the artists. Unfortunately they were not on the job today but if they were I would no doubt have spoken with them and conferred about their revolution. The Buddha creation of Arkin and Carlito. This Buddha was four metres high. The room in which he was located was dazzlingly colourful and laser lights beamed in all directions whilst loud mysterious music played in the background. 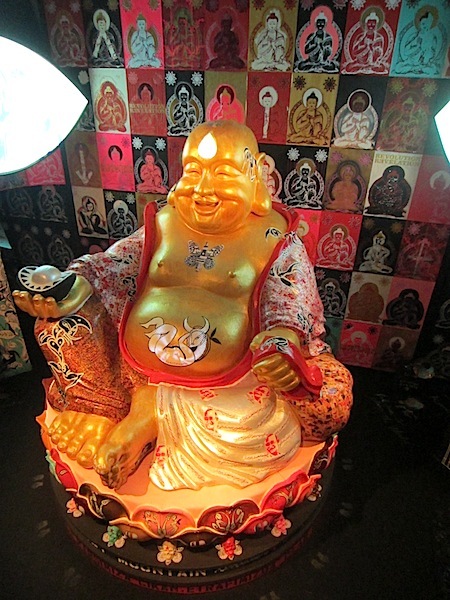 At the invitation of a beaming laser light I rubbed the Buddha’s toe. The two white indents on the edges of this photograph have something to do with laser beams. I have no explanation as to what this image represents, maybe nothing. Photos of exhibition works in progress. 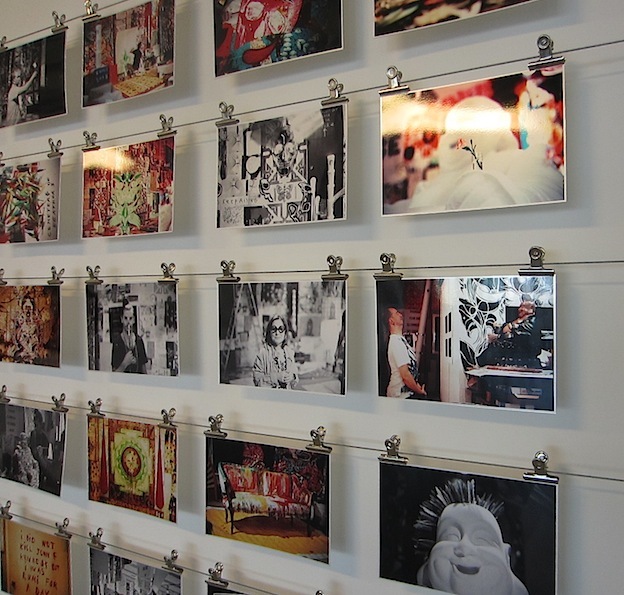 What I like here is the way the images are displayed using taut wire rope and bulldog clips. 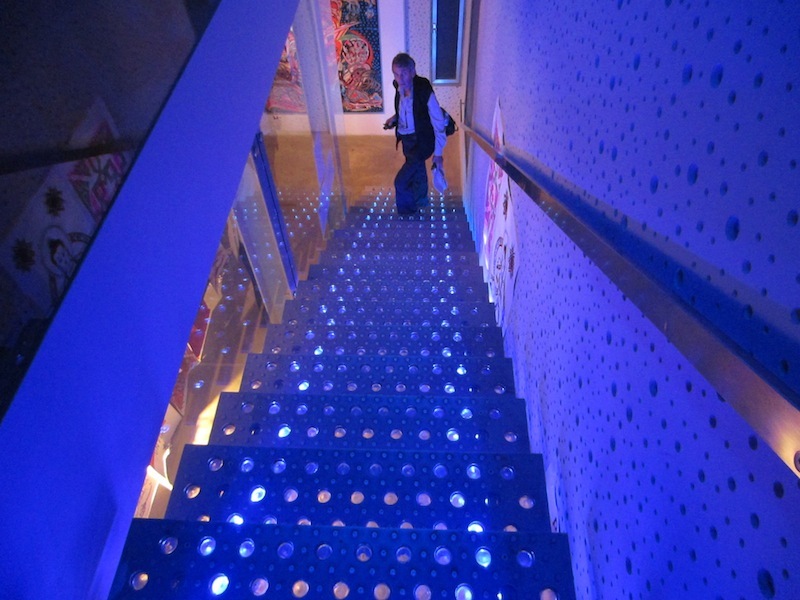 One of the stairways between floors at the exhibition. On the bottom floor of the exhibition was an area where the artists worked. There was paint everywhere and large blank white canvases mounted waiting for a splash of paint. I asked a security guard if I could come back when the artists were working so I could join in and maybe paint a dunny but I received a stern no. Those who know me know I can’t resist a piece of white paper, be it a serviette (paper or linen), a tablecloth or a blank page in a book. Back in 1988 when we took our two boys to Asia, the Middle East and Europe I carried a tape recorder and recorded their conversations, questions and ambient sounds including music. The tapes are an incredible record of the non-visual. On this odyssey I have a digital tape recorder and am recording street sounds and music for the next presentation stage of this journey which will involve the gathering together of images with soundtrack onto a CD. Today, I recorded the sounds in The Music House. Back on the streets we trudged along the mall and observed several large groups of riot police armed with shields and batons. At the end of the mall (Taksim Square) there was a small mob of twenty or so people waving banners. We thought that maybe their cause was to draw people’s attention to the plight of some three hundred and fifty army top brass who had been jailed for inciting some sort of unrest by challenging the power brokers. People in the square and walking the mall seemed unperturbed. Later we heard no news reports to say a confrontation had occurred. Another exhaustive day but that’s how it is in Istanbul.